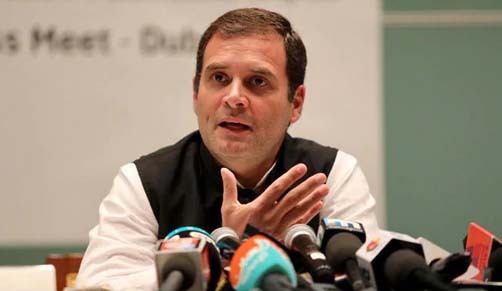 “During his two day long visit to the three northeastern states, Rahul Gandhi will address several election rallies apart from meeting Congress office bearers,” said Congress spokesperson Szarita Laitphlang. On Tuesday, Rahul Gandhi is expected to address a public meeting at Indira Gandhi Park Ground in Itanagar. Following that the Congress president will address a meeting of extended PCC with DCC and Block presidents in Itanagar. Thereafter, he will travel to Imphal to hold more meetings with extended PCC there. “Several other senior central leaderships will be visiting northeast in the coming days,” said Laitphlang. Although Assam Pradesh Congress Committee (APCC) president Ripun Bora said that Congress in Assam will contest alone this time, party insiders maintain that the opportunity for an alliance is always open. “At any costs, we need to defeat the BJP-AGP alliance,” said a senior Congress leader.